​Give a gift that is unique and timeless with the Tiffany & Co. Sheer Eau de Toilette. Crafted by world-renowned Givaudan perfumer Daniela Andrier, the multifaceted structure is playful yet elegant. The aromatic equivalence of a diamond in its purest form, Tiffany Sheer is a subtle luxury for the skin and makes the perfect gift for Mother's Day! What says stylish Mom more than a pair of hot stilettos? Carolina Herrera Good Girl Legere Eau de Parfum Spray captures femininity in a stylish stiletto shaped bottle! This scent is built around the eloquent pair of jasmine, the emblem of Carolina Herrera, and tonka, an intoxicating and surprising note. Made of sleek, smoky midnight blue glass, the Good Girl stiletto bottle stands on the tallest, thinnest gold-tone heel. An unexpected, highly innovative fragrance in a bottle as memorable and emotionally engaging as the fragrance itself, Good Girl captures the spirit and imagination of a modern powerful Mom! 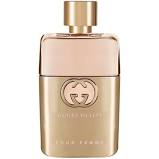 ​Give Mom a gift of luxury with Gucci Guilty Pour Femme! Created for a woman who is completely free, this fragrance is a rich and noble Oriental Floral with citrus Mandora layered with Lilac and a deep duet of Patchouli Oils. The top notes include Mandora and Pink Pepper. Surprise Mom with a unique and long-lasting scent with the ALLSAINTS Incense City Eau de Parfum. This scent is provocative, hedonistic and oriental. The fragrance is blended from the key note of cypress, offering a calming, fresh scent contrasted by the woody musk of cedarwood. Incense forms the base note, offering a lightly peppered and smoky fragrance. Transport Mom to Summer with ​Miami Blossom by Escada Eau de Toilette! The fragrance is a colorful cocktail that provides an energetic blast of joy and blissfulness. The fragrance starts with fresh watermelon and juicy pineapple notes, blended with a profusion of elegant flowers: tuberose, tiaree and jasmine. The magic continues with an ultra feminine trail of delicate sandalwood and addictive musk. Miami Blossom is the perfect feminine fragrance for Mom this Mother's Day! Take Mom on an escape through Tuscany with the GOUTAL ​Paris Eau D'Hadrien! The fiery sun and the brilliant light of the region adds to the charm of the cypress-lined terraces. The hottest hour of the day is the best time to sink into the soft shade of the lemon trees and reread a few passages from Memoirs of Hadrian. This beautiful fragrance has notes of Sicilian Lemon, Grapefruit and Green Mandarin. Give Mom JOY this Mother's Day with the D&G Peony Eau De Parfum! This scent embraces the fruity transparency of the nashi pear note and the sumptuous floral volume of the peony accord combined with woody patchouli. The top notes include Pink Pepper, White Bergamot, Nashi Pear, and Cyclamen for a fresh and flirty scent. Mom will love the free-spirited essence of Chloe Nomade Eau de Parfum. The intense mineral character of oakmoss is enveloped in the voluptuous softness of mirabelle plum. Natural ingredients brought into focus by the perfumer Quentin Bisch, revealing accords as exhilarating as the feeling of escape they inspire. This is definitely a fragrance Mom will never forget! ​Give your Mom a clean and simple scent with the philosophy Pure Grace Eau de Toilette. This universal scent is pure, crisp and infinitely clean. The fragrance opens with a veil of water lily for subtle freshness. The heart has the simple, modern tones of leafy greens and lasting frosted musk brings for a clean, modern finish. Surprise Mom with the floral feminine fragrance of ​Elizabeth Taylor's Love & White Diamonds. This fragrance is romantic. magical and glamorous. Love & White Diamonds was inspired by Elizabeth Taylor's epic romances and unrivaled diamond collection. This feminine floral fragrance captivates admirers and invites its wearer to embrace romance. Surprise Mom with a scent that is both addictive and irresistible with March Jacobs Daisy Love. The fragrance fills the air with a contagious love of life. This radiant fragrance reveals its first notes in a vibrant burst of sweet cloudberries. Delicate daisy tree petals mingle with sparkling cashmere musks and driftwood to create a lasting and memorable gourmand twist. ​Bring Mom on a journey through the streets of Paris with the GOUTAL Paris Rose Pompon. Mom will stroll down Rue des Rosiers in Paris and feel the vibrant, sparkling atmosphere along the cobblestone street. In the spring, the climbing rose bushes flower in clusters. The wind stirs their pompom blossoms and swirls their refreshing scent with the sweet, tangy smell of pastries. This beautiful fragrance features notes of Bulgarian Rose Essence, Peony, Pink Pepper and Patchouli. Gift your Mom with a healthy fragrance with Lavanila pure vanilla. This fragrance contains ​no phthalates, propylene glycol or Aldyhydes. This fragrance is made with pure Madagascar vanilla, creamy tonka bean and soft heliotrope blend. This is definitely a scent your Mom will love! Created by perfumer Daniela Andrier in close collaboration with designer Miuccia Prada, Miu Miu Twist is a playful and provocative scent encased in an opulent bottle. The scent is sure to turn heads and makes a beautiful gift this Mother's Day! The Elizabeth Arden White Tea Wild Rose fragrance captures the soft surprise of wild rose at the edge of the ocean. A rising sweetness layered on a fresh breeze. The scent is a sensual rose bouquet crowned with fresh pear blossom. This sweet, delicate floral fragrance nuanced with freshness will put a delightful smile on Mom's face this Mother's Day! With top notes of Jasmine and Orange Blossom, the Narcisco Rodriguez Pure Musc is a beautiful scent for Mom. This fragrance is both addictive and sensual and will make a wonderful gift this Mother's Day! ​Surprise your Mom with grace! ​​The philosophy amazing grace eau de parfum is formulated with the richest, most refined blend of fragrance oils to provide a stronger, longer lasting scent. philosophy uses a beautiful, rich blend of floral notes to give Mom the most luxurious scent imaginable. amazing grace parfum is lightly tinted pink and comes in an elegant 2 oz. glass bottle, perfect for Mother's Day Gift giving! With notes of Pear, Peach and Freshly Cut Grass, the Goutal Paris Petite Cherie will whisk Mom away to an enchanted garden full of pear tree blossoms and blooming rose bushes. This fragrance is delicate and beautiful and perfect for your Mom this Mother's Day! Give Mom a gift that is playful and fun with Juicy Couture's Viva La Juicy Bowdacious! This scent has splashes of notes of Italian mandarin, Williams pear and honeydew with the solar vibrancy of the tiare flower, ending with the warm, creamy addiction of tonka bean and coconut milk. Surprise Mom with a gift that's both lavish and feminine with TOCCA Gia eau de parfum. This fragrance has notes of pink peppercorn, tangerine, golden amber and sandalwood. This fragrance is stunning and makes the perfect gift this Mother's Day! Give Mom an escape for her senses with Elizabeth Arden White Tea Eau de Toilette. This floral fragrance will take her to a place of effortless indulgence. With notes of citrus and wood, this scent will transport her to a moment of blissful escape! Marc Jacobs Daisy Eau So Fresh Eau de Toilette is bubbly and playful! This scent is a reinterpretation of Daisy however it's more fruity and more fun! This fragrance will transport Mom to a place that is exhilarating, happy, and fun with top notes of natural raspberry, grapefruit and pear.